Just a quick post of a cake I did in September for a beautiful mother to be! She is one of the funniest, caring and most relaxed people I have met. Whenever I see her she is always smiling and glowing. The theme of this party was monkey and I decided I wanted to put a big monkey on the top of the cake. They have also already painted the nursery with a skyline view of one of the superheros that the husband really likes. So I decided to add that to the bottom of the cake too. Then of course I had to make the monkey a superhero!! The shower was really fun and full of wonderful games! 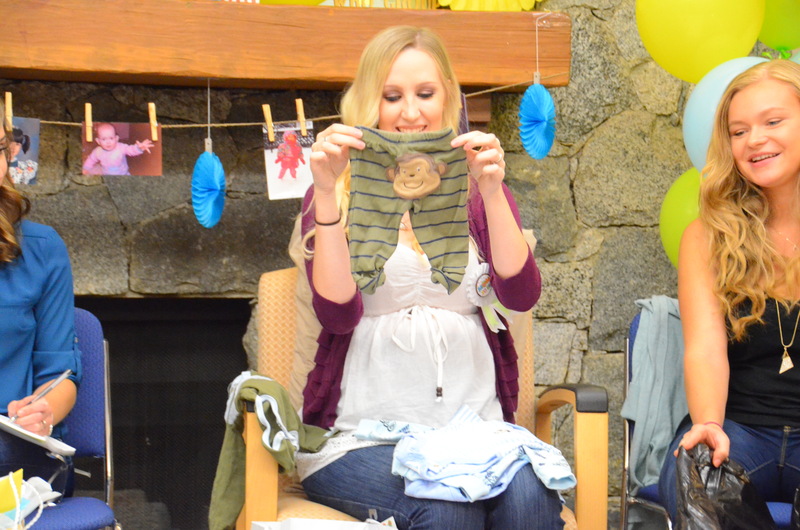 This child received so many wonderful gifts and is going to be surrounded by family, friends and love his whole life. I can’t wait to meet him next month! Well that’s it for this baby post! I can’t wait to show you the next cake I made! Till then have a great weekend! Quick blog post today. I’ve been super Busy, but I have wonderful news for you. 1. I started Physiotherapy last week, so I’m going twice a week at the moment. 2. I got a new job at a store called Precious Memories where I will be teaching card classes 🙂 I am beyond excited to be working with them. It is really challenging me as a crafter to be extra creative! 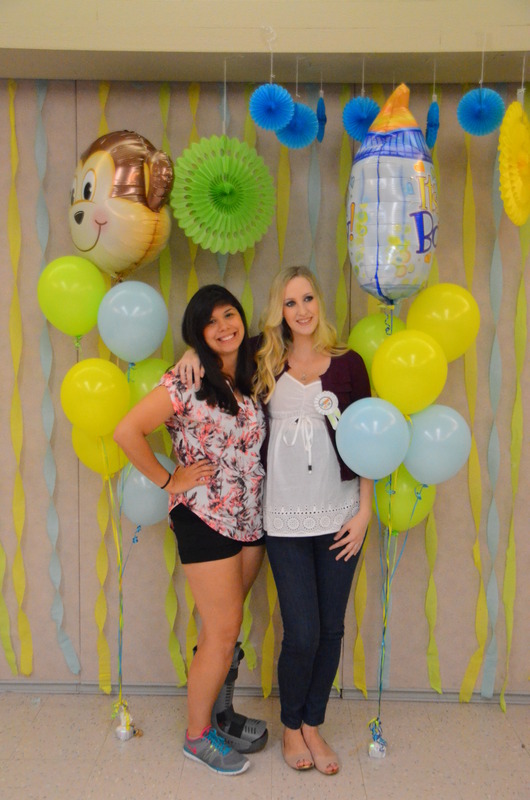 So today’s blog post is about the baby shower I did a couple of weekends ago. My best friend (of 20 years) is going to be having her first child. Her due date is Oct 28th – ish. I am very excited and honored to become an Auntie!! Hopefully they have lots and lots of babies that I can play with! I was so thrilled that I was asked to help to plan the shower and make the desserts. 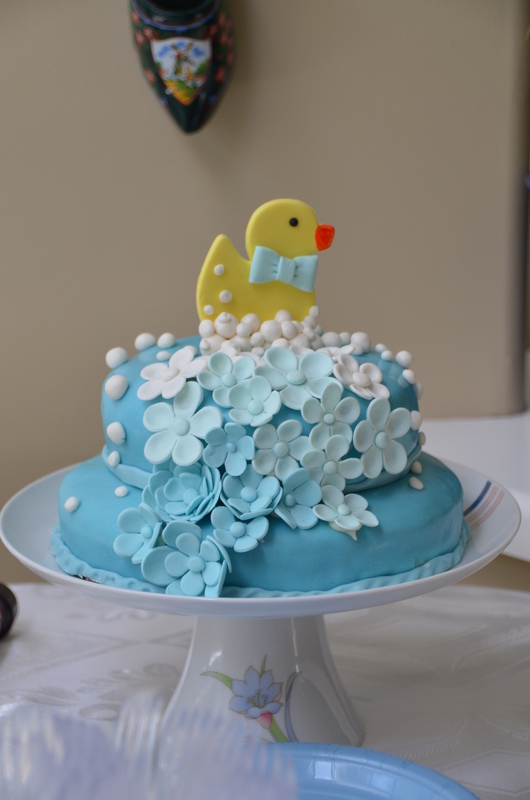 We decided to theme the cake and cookies ‘Rubber Ducky’. I Love rubber ducks! this was my first time playing with fondant, and I made the fondant myself! I also decided to make it into a polka-dot cake! because its a BOY! Little ducky cookies that look like they are have a bubble bath was the party favors. So cute! 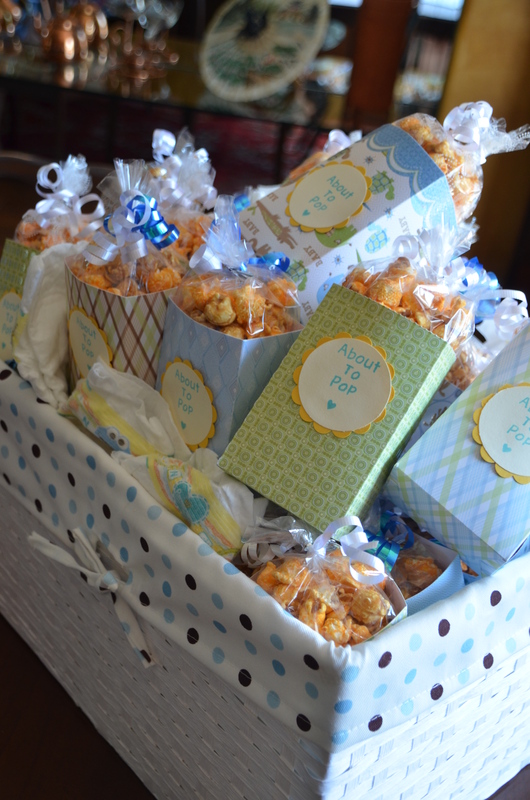 And to add a little pizzazz I made little popcorn bags that say ‘about to pop’!! A Birds of a Feather….